More than at any other time in history, today, law governs us all. As a result, some level of knowledge of the law is becoming increasingly important at all levels. It is especially useful for students of law, international relations, politics, and social sciences. International professionals as well as civil society organizations also benefit from the basic knowledge of law. In the post-war era, it is not only domestic laws, but also international laws that govern our individual rights, duties, and social interactions, including international relations. This is particularly the case in the fields of peace, security, human rights, international crime, environmental protection, and world trade. Moreover, the demand for harmonization between domestic and international law has, in many respects, caused international law to become the main source for the creation and development of domestic law. Acharya, A. (2013). The Making of Southeast Asia: International Relations of a Region. Cornell University Press. Acharya, B. (2012). My Essays in Law: Media, Freedom, and Politics. A. K. Books and Educational Enterprises Pvt. Ltd.
Acharya, B. (2015). Law and Politics. Alliance Law House. African Union. (2013). The Activity Report of the African Court for the Year 2013. African Union. AJIL. (2005). Legality of U.S.-Led Invasion of Iraq. American Journal of International Law, 99, 269-270. Alexy, R. (2008). On the Concept and Nature of Law. Ration Juris, 21, 281-299. Allen, C. K. (1997). Law in the Making (First Indian Reprint ed.). New Delhi: Universal Law Publishing Co. Pvt. Ltd. .
Allot, P. (1990). Eunomia: New Order for a New World. Oxford University Press. Alston, P. & Goodman, R. (2013). International Human Rights. Oxford University Press. Amar, A. R. (2012). America's Unwritten Constitution. Basic Books. Aoki, M., Jackson, G. & Miyajima, H. (2008). Corporate Governance in Japan: Institutional Change and Organizational Diversity. Oxford University Press. Archibugi, D. (1998). Immanuel Kant, Cosmopolitan Law and Peace. European Journal of International Relations, 1, 429-456. Ari, K. (2005). The Possibility of Secular Human Rights: Alan Gewirth and the Principle of Generic Consistency. Human Rights Review, 7, 49-75. Aristotle. (2012). Nicomachean Ethics. Dover Publication. Aristotle. (2000). Politics. Dover Publication. Armstrong, D., Farrell, T. & Lambert, H. (2012). International Law and International Relations (2nd ed.). Cambridge University Press. Arrow, K. J. (1963). Social Choice and Individual Values (2nd ed.). John Wiles & Sons Inc.
Ashibe, N. (2007). Constitutional Law. Tokyo: Iwanamishoten. Atiyah, P. S. (1997). The Damages of Lottery. Hart Publishing. Austin, J. (1890). Lecture on Jurisprudence or the Philosophy of Positive Law. John Murray. Austin, J. (1832). The Province of Jurisprudence Determined. London: John Murray. Baier, K. (1995). Paul Carus Lecture Series 18: The Rational and the moral Order-Social Roots of Reason and Morality. Open Court. Baker, C. E. (1985). Sandel on Rawls. University of Pennsylvania Law Review, 133, 895. Baker, C. D. (1996). Introduction to Tort. New Zealand: LBC Information Services. Bank, W. (2015). Worldwide Governance Indicators. World Bank. http://info.worldbank.org/ governance/wgi/index.asp. Barnett, H. (2011). Constitutional and Administrative Law (8th ed.). Routledge. Bassiouni, M. C. (2012). Introduction to International Criminal Law. Martinus Nijhoff Publishers. Baxi, U. (1985). Courage Craft and Constitution. Bombay: Tripathi. Baxi, U. (2008). The Future of Human Rights (3rd ed.). Oxford University Press. Beaulac, S. (2000). The Westphalian Legal Orthodoxy-Myth or Reality? Journal of History of International Law , 2, 148-177. Beer, L. & Itoh, H. (1996). The Constitutional Case Law of Japan, 1970 through 1990. University of Washington Press. Beiser, F. C. (2012). The German Historical Tradition. Oxford University Press. Belz, H. (1947). A Living Constitution or Fundamental Law? American Constitutionalism in Historical Perspective. Rowman & Littlefield Publishers Inc.
Bentham, J. (2010). An Introduction to the Principles of Morals and Legislation . White Dog Publishing. Bergeijk, V. & Kabel, D. L. (1993). Strategic Trade Theories and Trade Policy. Journal of World Trade, 27, 175-187. Bernardo, G. (1988). Normative Structures of the Social World. Editions Rodopi. Bernstein, W. J. (2009). A Splendid Exchange: How Trade Shaped the World. Grove Press. Bert, W. (2011). American Military Intervention in Unconventional War: From the Philippines to Iraq. Palgrave McMillan. Bertea, S. (2009). The Normative Claim of Law. Hart Publishing . Bix, B. (2010). Natural Law Theory. in D. Patterson (Ed. ), A Companion to Philosophy of Law and Legal Theory, (211-227). Wiley-Blackwell. Bhagwati, J. (1988). Protectionism. The MIT Press. Bhagwati, J. (2007). In Defense of Globalization. Oxford University Press. Bhagwati, P. N. (1985). Judicial Activism and Public Interest Litigation. Columbia Journal of Transnational Law, 561-578. Bhala, R. (2011). Understandign Islamic Law (Sharia). Lexis Nexis. Bhala, R. (2008). International Trade Law: Interdisciplinary Theory and Practice (3rd ed.). LexisNexis. Bhandari, S. (1999). Court, Constitution, and Global Public Policy. Kathmandu: DDL. Bhandari, S. (2008). Nepal: International Law Practice. Asian Yearbook of International Law. 14. Bhandari, S. (2012). Making Rules in the WTO: Free or Managed Trade? RoseDog Books. Bhandari, S. (2012). The King versus the People: The Abolition of Monarchy and the Constitution Making in Nepal. The Ritsumeikan Journal of Internal Studies, 25, 1-26. Bhandari, S. (2012). Constitution Making and the Failure of Constituent Assembly: The Case of Nepal. Ritsumeikan Annual Review of International Studies, 11, 1-40. Bhandari, S. (2012). From the Era of Colonization to Globalization: Making Rules in the GATT/WTO. in Asian Approaches to International Law and the Legacy of Colonialism, 119-137. Routledge. Bhandari, S. (2013). Global Constitutionalism and the Constitutionalization of International Relations: A Reflection of Asian Approaches to International Law. Ritsumeikan Annual Review of International Studies , 12, 1-53. Bhandari, S. (2014). From External to Internal Application of the Rights to Self-Determination: The Case of Nepal. International Journal of Minority and Group Rights, 21, 330-370. Bhandari, S. (2014). Legitimacy, Authority, and Validity fo Law: An Integrated Approach to Legal Positivism and the Methodology fo Welfare-Grundnorm. The Journal Jurisprudence, 22, 117-194. Bhandari, S. (2014). Self-Determination and Constitution Making in Nepal. Springer. Black, J. (2010). History of Diplomacy. Reaktion Books. Boyle, F. A. (1995). World Politics and International Law. Duke University Press. Brown, M. M. (2004). Foreword. In Human Development Report. UNDP. Brownlie, I. (2002). International Law and the Use of Force by States Revisited. Chinese Journal of International Law, 1-19. Brownlie, I. & Apperley, C. J. (2000). Kosovo Crisis Inquiry: Memorandum on the International Law Aspects. International and Comparative Law Quarterly, 49, 878-905. Buddha. (2008). The Dhammapada. (F. M. Muller, Trans.) Amazon Digital Services Inc.
Bull, H. (1995). The Anarchical Society: A Study of Order in World Politics. Columbia University Press. Buzan, B. & Little, R. (2009). World History and the Development of Non-Western International Relations Theory. In Non-Western International Relations Theory: Perspectives on and Beyond Asia, A. Acharya, & B. Buzan (Eds.). Routledge. Byers, M. (2000). The Law and Politics of the Pinochet Case. Duke Journal of Comparative and International Law, 10, 415-441. Cahn, A. & Donald, D. C. (2012). Comparative Company Law: Text and Case on the Laws Governing Corporations in Germany, the UK, AND the USA. Cambridge University Press. Cali, B. (2010). International Law for International Relations. Oxford University Press. Cavanagh, N. (2011). Corporate Criminal Responsibility: An Assessment of the Models of Fault. The Journal of Criminal Law, 414-440. Chalmers, D., Davies, G. & Monti, F. (2010). European Union Law and Materials (2nd ed.). Cambridge University Press. Chang, H-J. (2008). Bad Samartans: The Guilty Secrets fo Rich Nations and the Threat to Global Prosperity. Random House Business Book. Chapin, H. G. (2012). Handbook of the Law of Torts. Ulan Press. Chayes, A. (1976). The Role of the Judges in Public Law Litigation. Harvard Law Review, 1281-1316. Chemerinsky, E. (2011). Constitutional Law: Principles and Policies. Aspen. Chen, X. (1993). Justice: The Neglected Argument and the Pregnant Vision. Asian Philosophy, 19, 189-198. Chitty, A. (2008). Protagonist and Subject in Gewirth's Argument for Human Rights . King's Law Journal , 1-26. Clark, W. L. (1915). Handbook of Criminal Law (3rd ed.). West Publishing Company. Comte, A. (1875). System of Positive Polity. London: Longman Greens & Co.
Comte, A. (1908). A General View of Positivism. (J. H. Bridges, Trans.) George Routledge & Sons Ltd.
Comte, A. (1988). Introduction to Positive Philosophy. (F. Ferre, Ed.) Hackett Publication Co.
Comte, A. (2000). The Positive Philosophy (Vol. I). (H. Martineau, Ed.) Batoche Books. Confucius. (2010). The Saying of Confucius. (L. A. Lyall, Trans.) GreatSpace Independent Publisher Platform. Coppers, D. (2014). WTO Disciplines on Subsidies and Countervailing Measures. Cambridge University Press. Cummings, S. L. & Rhode, D. L. (2009). Public Interest Litigation: Insights from Theory and Practice, . Fordham Urban Law Jounal, XXXVI, 603-651. Dando, S. (1997). The Criminal Law of Japan. (B. J. George, Trans.) Fred B Rothman & Co..
David, R. & Brierley, J. C. (1985). Major Legal Systems in the World Today. Stevens & Sons. Dayley, R. A. & Neher, C. D. (2013). Southeast Asia in the New International Era. Westview Press. Dean, M. (2002). Japanese Legal System (2nd ed.). Cavendish Publishing Limited. Defeis, E. F. (2012). The Treaty of Lisbon and Accession of the European Union to the European Convention on Human Rights. ILSA Journal of International & Comparative Law , 18, 387-394. Denning, L. (1981). The Family Story. Butterworths. D'Entreves, A. P. & Nederman, G. J. (1994). Natural Law: An Introduction to Legal Philosophy. Transaction Publishers. Dias, R. W. (1970). Jurisprudence (3rd ed.). Butterworth. Dicey, A. V. (2007). Introduction to the Study of the Law of the Constitution. Evergreen Review Inc.
Dignam, A. & Lowry, J. (2012). Company Law (7th ed.). Oxford University Press. Diskant, E. B. (2008). Comparative Corporate Criminal Liabiity: Exploring the Uniquely American Doctrine through Comparative Criminal Procedure. Yale Law Journal, 18, 126-176. Dittgen, H. (1999). World Without Borders? Reflections on the Future of the Nation-State. Government & Opposition , 34. Douglas, R. K. (1879). Confucianism and Taouism. Society For Promoting Christian Knowledge. Donnelly, J. (2013). International Human Rights. Westview Press. Drury, S. B. (1981). H. L. A. Hart's Minimum Content Theory of Natural Law. Political Theory, 9, 33-546. Drahozal, C. R. (2002). Commercial Arbitration: Cases and Problems. Lexix Nexis. Dunkley, G. (2013). Free Trade: Myth, Reality and Alternatives. Zed Books. Dunne, T. (2010). The English School. In The Oxford Handbook of International Relations, (267-285). Oxford University Press. Dunoff, J. L. & Pollack, M. A. (2012). International Law and International Relations: Introducing an Interdisciplinary Dialogue. In J. L. Dunoff, & M. A. Pollack (Eds. ), Interdisciplinary Perspectives on International Law and International Relations: The State of Art. Cambridge University Press. Dunoff, J. & Trachtman, J. P. (2009). Ruling the World? Constitutionalism, International Law, and Global Governance. Cambridge University Press. Duxbury, N. (2005). English Jurisprudence Between Austin & Hart. Virginia Law Review, 91, 1-91. Dworkin, R. (1985). A Matter of Principle. Harvard University Press. Dworkin, R. (1989). Law's Empire. Hart Publishing. Dyzenhaus, D. (2007). The Rule of Law of Liberal Principle. In A. Ripstein (Ed. ), Ronald Dworkin. Cambridge University Press. Eide, A. (2008). Economic, Social, and Cultural Rights as Human Rights. In R. Falk, H. Elvar, & L. Haijar (Eds. ), Human Rights: Critical Concepts in Political Science, (300). Routledge. Eisenberg, D. A. (2014). In the Names of Justices: Enduring Irony of Brown v. Board. The Journal Jurisprudence , 22, 101-116. Ehrlich, E. (2001). Fundamental Principles of the Sociology of Law. Transaction Publishers. eKantipur. (2013, March 22). Dahal Defends Murder Convict Dhungel. Ekantipur . Elazar, D. (1993). The Constitution of the State of Israel. Jerusalem Center for Public Affairs. Eliot, C. (1962). Hinduism and Buddhism: An Historical Sketch. Routledge & Kegan Paul Ltd. .
Emanuel, S. L. (2010). Criminal Law. Wolster Kluwer. Falk, R., Elver, H. & Hajjar, L. (2008). Human Rights Critical Concepts in Political Science (Vols. I-IV). Routledge. Feichtner, I. (2012). The Law and Politics of Waivers: Stabiity and Flexibility in Public International Law. Cambridge University Press. Feinman, J. M. (2010). Law 101: Everything You Need to Know About American Law (3rd ed.). Oxford University Press. Feldman, E. A. (2009). Why Patients Sue Doctors: The Japanese Experience. Journal of Law Medicine and Ethics, 792-299. Finnis, J. (2011). Natural Law and Natural Rights (2nd ed.). Oxford University Press. Finnis, J. (2011). Philosophy of Law: Collected Essays (Vol. IV). Oxford University Press. Finnis, J. (2012). Natural Law Theory: Its Past and Its Present. In The Routledge Companion to Philosophy of Law (Andrei Marmor ed., 6-30). Routledge. Fiss, O. M. (1981). The Varities of Positivism. The Yale Law Journal. 90, 1007-1016. Fitzgerald, P. J. (1966). Salmond on Jurisprudence (12 ed.). Sweet & Maxwell. Fon, V. & Parisi, F. (2006). Judicial Precedents in Civil Law Systems: A Dynamic Analysis. International Review of Law and Economics, 26, 519-535. Foote, D. H. (2007). Introduction and Overview: Japanese Law at a Turning Point. In D. H. Foote (Ed. ), Law in Japan in Turning Point (pp. XIX-XXXV). The University of Washington Press. Fosnot, C. T. (2005). Constructivism: Theory, Prespectives and Practice (2nd ed.). Teachers College Press. Forsythe, D. P. (2006). Human Rights in International Relations (2nd ed.). Cambridge University Press. Frank, R. (2005). Civil Code: General Provisions. In W. Rohl (Ed. ), History of Law in Japan since 1868. Brill. Freer, R. D. (2012). Introduction to Civil Procedure. Aspean. Freg, M. J. (1992). Postmodern Legal Feminism. Routledge . Friesen, B. K. (2015). Moral System and the Evolution of Human Rights. Springer. Fukue, N. (2011). The Basic of Being a Lawmaker at the Diet. Japan Times. http://search.japantimes.co.jp/cgibin/nn20110104i1.html. Fuller, L. (1969). The Morality of Law. Yale University Press. Fung, V. (2011). Preface: The ICC Vision. In F. Lehmann, & J. P. Lehmann (Eds. ), Peace and Prosperity Through World Trade. Cambridge University Press. Gardbaum, S. (2009). Human Rights and International Constitutionalism. In J. L. Dunoff, & J. P. Trachtman (Eds. ), Ruling the World? Constitutionalism, International Law, and Global Governance (233-257). Cambridge University Press. Gardner, J. (2009). Legal Positivism: 5.5 Myths . In A. Kavanagh, & J. Oberdiek (Eds. ), Arguing About Law. Routledge. GATT. (1987). Trade Policies for a Beter Future: The Lietwiler Report, the GATT and the Uruguay Round. Martinus Nijhoff Publishers. George, R. P. (2011). In Defense of Natural Law. Oxford University Press. Gewirth, A. (1982). Human Rights: Essays on Justifications and Applications. Chicago University Press. Gilbert, L. D. (2014). A Retrospective Examination of Post-Cold War Conflicts in Africa: Ended, Abated, and Prolonged Conflicts. International Journal of Social Science, 4, 151-162. Gillivary, A. M. (2006). A Brief History of Globalization: The Untold Story of Our Incredible Shrinking Planet. Robinson Publishing. Glannon, J. W. (2008). Civil Procedure in a Nutshell. Aspean Publishers. Gleditsch, N. P. (2002). Armed Conflict 1946-2001: A New Dataset . Journal of Peace , 615-637. Goldberg, J. C. & Zipursky, B. C. (2010). The Oxford Introductions to U. S. Law: Torts. Oxford University Press. Gotshalk, D. W. (1933). The A Priori. Journal of Philosophy, 30, 253-262. Governance, T. C. (1996). Our Global Neighborhood: Report of the Commission on Global Governance. Oxford University Press. Gray, J. C. (2012). The Nature and Sources of Law. Quid Pro, LLC. Green, M. J. & Gill, B. (2008). Asia's New Multilateralism: Cooperation, Competition, and the Search for Community. Columbia University Press. Greenwood, C. (2000). International Law and the NATO Intervention in Kosovo. International and Comparative Law Quarterly, 49, 826-934. Greenwood, C. (2002). Humanitarian Intervention: The Case of Kosovo. Finnish Yearbook of International Law, 141-175. Gross, L. (1948). The Peace of Westphalia 1648-1948. American Journal of International Law, 20-41. Grotius, H. (2010). The Law of War and Peace (De Jure BelliAc Pacis). (F. W. Kelsey, Trans.) Lonang Institute. Groudine, C. J. (1980). Authority: H. L. A. Hart and the Problem with Legal Positivism. Journal of Libertarian Studies , 4, 273-288. Guzzini, S. & Leander, A. (2005). Constructivism and International Relations: Alexender Wendt and His Critics. Routledge. Habermas, J. (1975). Legitimization Crisis. Beacon Press. Hampstead, L. o. & Freeman, M. D. (1985). Lloyd's Introduction to Jurisprudence (5th ed.). Stevens & Sons. Hanningan, B. (2012). Company Law. Oxford University Press. Harding, C. & Lim, C. L. (1999). Renegotiating Westphalia. Martinus Nijhoff. Harris, J. W. (1979). Law and Legal Science. Clarendon Press. Hart, H. L. (1973). Bentham and Demystification of Law. Modern Law Review, 36, 2-17. Hart, H. L. (1983). Essays in Jurisprudence and Philosophy. Clarendon Press. Hart, H. L. (2012). The Concept of Law (3rd ed.). Clarendon Press. Hass, M. (2008). International Human Rights: A Comprehensive Introduction. Routledge. Hass, R. (1999). Intervention: The Use of American Military Force in the Post-Cold War World. Carnegie Endowment for International Peace. Hata, H. & Nakagawa, G. (1997). Constitutional Law of Japan. Kluwer Law International. Hayek, F. A. (2011). The Constitution of Liberty. The University of Chicago Press. Hayek, F. A. (2007). The Road to Freedom. The University of Chicago Press. Heidegger, M. (1991). The Principles of Reason. The Indiana University Press. Heidegger, M., Feinberg, J. & Shafer-Landau, R. (2008). Reason and Responsibility: Readings in Some Basic Problems of Philosophy. Thomson Wadsworth. Helpman, E. & Krugman, P. R. (1989). Trade Policy and Market Structure. The MIT Press. Henkin, L. & Others. (1999). Human Rights. Foundation Press. Heywood, A. (2011). Global Politics. Palgrave Macmillan. Hoekman, B., Horn, H. & Mavroidis, P. C. (2008). Winners and Losers in the Panel Stage of the WTO Dispute Settlement System. IMF. Hohfeld, W. N. (1913). Some Fundamental Legal Conceptions as Applied in Judicial Reasoning. The Yale Law Journal, 23, 16-59. Holmes, O. W. (1897). The Path of Law. Harvard Law Review , 10, 457. Hondius, E. (1999). Modern Trends in Tort Law: Dutch and Japanese Law Compared. Kluwer Law International . Human Rights Council. (2012). Human Rights, Democracy and the Rule of Law. United Nations. Human Rights Council. IACHR. (2014). Inter-American Court of Human Rights Annual Report 2014. IACHR. Inoue, K. (1991). MacArthur's Japanese Constitution. University of Chicago Press. Irwin, D. A. (1977). Against the Tide: An Intellectual History of Free Trade. Princeton University Press. Irwin, D. A. (2012). Trade Policy Disaster: Lessons from the 1930s. The MIT Press. Ito, K. (2013). Rule fo Law and Criminal Justice Reform in Japan. National Taiwan University Law Review , 6, 367-387. Iwasawa, Y. (1998). International law, Human Rights, and Japanese Law: The Impact of International Law on Japanese Law. Clarendon Press. Jawara, F. & Kwa, A. (2003). Behind the Scenes at the WTO the Real World of International Trade Negotiations. Zed Books. Jones, P. (2013). Moral Rights, Human Rights and Social Recognition. Political Studies, 267-281. Jowett, B. (2008). On the Ideas of Plato. In Meno. The Project Gutenberg EBook. Jowett, B. (2011). The Complete Work of Plato. (B. Jowett, Trans.) Latus ePublishing. Kumm, M. & Comella, V. F. The Future of Constitutional Conflict in the European Union: Constitutional Supremacy after the Constitutional Treaty. http://www.lis.ulusiada.pt. Kalbbers, J., Peters, A. & Ulfstein, G. (2009). The Constitutionalization of International Law. Oxford University Press. Kamali, M. H. (2011). Shari'ah Law: An Introduction. Lexis Nexis. Kane, M. K. (2007). Civil Procedure in a Nutshell. Thomson West. Kant, I. (1900). Critique of Pure Reason. (J. M. Meiklejohn, Trans.) Colonial Press. Kant, I. (2005). Fundamental Principles of the Metaphysics of Morals. Gutenberg EBook. Kant, I. (2010). The Philosophy of Law. Liberty Fund Inc.
Katzenstein, P. & Sil, R. (2010). Eclectic Theorizing in the Study and Practice of International Relations. In C. Reus-Smit, & D. Snidal (Eds. ), The Oxford Handbook of International Relations, (109-130). Kautilya. (2009). Arthashastra. (R. Shamasastry, Trans.) Spastic Cat Press. Kelsen, H. (1955). Foundations of Democracy. Ethics, 66, 1-101. Kelsen, H. (2009). General Theory of Law and State. The Lawbook Exchange Ltd.
Kelsen, H. (2009). Pure Theory of Law. The Lawbook Exchange Ltd.
Kenny, C. S. (1907). Outlines of Criminal Law. The MacMillan Company. Kerton-Johnson, N. (2008). Justifying the Use of Force a post-9/11 World: Striving for Hierarchy in International Society. International Affairs, 84, 991-1007. King, L. W. (2014). The Code of Hummurabi. GreatSpace Independent publishing Platform. Kimijima, A. (2009). Japan's Contribution to Global Constitutionalism. Societies Without Borders, 4, 105-116. Kimijima, A. (2009). Peace in East Asia and the Japanese Constitution: A Reexamination 60 Years After Its Making. Ritsumeikan International Studies, 539-549. Kionka, E. J. (2010). Torts in a Nutshell. West. Khan, L. A. (2011). The Extinction of Nation-States: A World Without Borders. Kluwer Law International. Kjaer, A. M. (2004). Governance. Polity. Klabbers, J., Peters, A. & Ulfstein, G. (2009). The Constitutionalization of International Law. Oxford University Press. Kleinberger, D. S. (2008). Agency, Partnerships, and LLCs. Aspean Publishers. KPMG. (2015). Individual Income Tax Rates. KPMG. Kramer, L. (2004). The People Themselves: Popular Constitutionalism and Judicial Review. Oxford University Press. Krasner, S. D. (1983). Preface. In S. D. Krasner (Ed. ), International Regimes. Cornell University Press. Krugman, P. R. (1980). New Theories of Trade Among Industrial Countries. American Economic Review , 73, 343-347. Krugman, P. R. (1980). Scale Economies, Product Differentiation, and the Pattern of Trade. American Economic Review , 70, 950-959. Krugman, P. R. (1983). New Theories of Trade Among the Industrial Nations. American Economic Review , 73, 343-347. Krugman, P. R. (1983). What Do Undergraduate Need to Know About Trade? American Economic Review , 83, 23-26. Krugman, P. R. (1986). Introduction: New Thinking about Trade Policy. In P. R. Krugman ed., Strategic Trade Policy and the New International Economics. The MIT Press. Krugman, P. R. (1994). Rethinking International Trade. The MIT Press. Krugman, P. R. (1997). Pop Internationalism. The MIT Press. Krugman, P. R. (1997). What Should Trade Negotiators Negotiate About? Journal of Economic Literature, 113-120. Krugman, P. R. (2007). Conscience of A Liberal. W. W. Norton & Company. Krugman, P. R. (2009). The Increasing Returns Revolution in Trade and Geography. American Economic Review, 99, 561-571. Krugman, P. R. & Obstfeld, M. (2000). International Economics: Theory and Policy (5th ed.). Addison-Wesley. Kwon, W. J. & Skipper, H. D. (2007). Risk Management and Insurance: Perspectives in a Global Economy. Wiley-Blackwell. Lacroix, A. (2011). What if Madison Had Won? Imagining a Constitutional World of Legislative Supremacy. Indiana Law Review, 45, 41-59. Lawcards. (2010). English Legal System. Taylor & Francis. Leben, C. (1998). Hans Kelsen and Advancement of Internatioanl Law. European Journal of Internatioanl Law , 9, 287-305. Lenin, V. (1913). A Critical Remark on the National Question . In B. Isaacs, & J. Fineberg (Eds. ), Collected Works of Lenin, (Vol. 20, 17-51). Moscow: Progress Publishers. Lenin, V. (1914). The Rights of Nations to Self-Determination. In B. Isaacs, & J. Fineberg (Eds. ), Collected Works of Lenin, (Vol. 20, 393-459). Moscow: Progress Publishers. Levit, N., Verchick, R. & Minow, M. (2006). Feminist Legal Theory. New York University Press. Lindsey, L. (2012). Foreword. In L. A. Larocco, Dynasties of the Sea. Marine Money Inc.
Lissitz, R. W. (2009). The Concept of Validity. Information Age Publishing Inc.
Lookingbill, B. D. (2010). American Military History: A Documentary Reader. Wiley-Blackwell. Mackie, J. (1977). The Third Theory of Law. Philosophy and Public Affairs, 7, 3-16. Mandis, P. (2009). Trade for Peace. New York University Inc.
Manu. (1991). The Laws of Manu. (W. D. Smith, Trans.) Penguin Books. Marmor, A. (2010). The Ideal of the Rule of Law. In D. Patterson (Ed. ), A Companion to Philosophy of Law and Legal Theory (2nd ed., 666-674). Wiley-Blackwell. Marmor, A. (2012). The Nature of Law: An Introduction. In The Routledge Companion to Philosophy of Law (Andrei Marmor ed., 3-15). Routledge. Marshall, C. D. (2001). Crowned With Glory and Honor: Human Rights in the Biblical Tradition. Pandora Press. Martinico, G. (2011). Born to be Together: The Constitutional Complexity of the EU. Review of the Constitutional Studies , 16, 63-95. Matsu, S. (1985). A Comment Upon the Role of the Judiciary in Japan. Osaka University Law Review, 35, 17-28. Matsui, S. (2011). The Constitution of Japan. Hart Publishing. Mayer, A. E. (2013). Islam and Human Rights: Tradition and Politics. Westview Press. McAlinn, G. P., Rosen, D. & Stern, J. P. (2005). An Introduction to American Law. Carolina Academic Press. McDonald, P. J. (2004). Peace Through Trade or Free Trade? Journal of Conflict Resolution, 547-572. McLellan, D. (1995). Ideology (2nd ed.). Open University Press. McMahon, C. (1987). Autonomy and Authority. Philosophy and Public Affairs , 16, 303-328. Merryman, J. H. (2007). The Civil Law Tradition (3rd ed.). The Stanford University Press. Milewicz, K. (2009). Emerging Patterns of Global Constitutionalization: Toward a Conceptual Framework. Indiana Journal of Global Legal Studies, 16, 413-436. Milhaupt, C. J. (2003). Global Markets, Domestic Institutions Corporate Law and Governance in a New Era of Cross-Borders Deals. Columbia University Press . Milhaupt, C. J., Ramseyer, J. M. & West, M. D. (2006). The Japanese Legal System. Foundation Press. Mill, J. S. (2004). Utilitarianism. Gutenberg Ebook. Milner, H. V. & Kubota, K. (2005). Why the Move to Free Trade? Democracy and Trade Policy in the Developing Countries. International Organization , 59, 107-143. Muller, T. (2014). Global Constitutionalism in Historical Perspective Towards Refined Tools for International Constitutional Histories. Global Constitutionalism , 3, 71-101. Musicart, I. (1990). The Banana War: A History of U.S. Military Intervention in Latin America. McMillan Pub. Co.
Neary, J. P. (2009). Putting the New into New Trade Theory: Paul Krugman's Nobel Memorial Prize in Economics. Journal of Econoics, 111, 217-250. Nolte, G. (2005). European and U.S. Constitutionalism. Cambridge University Press. Nottage, L. (2004). Product Safety and Liability Law in Japan: From Minamata to Mad Cows. Rutledge Curzon. Oda, H. (1992). Japanese Law. Butterworths. O'Donoghue, A. (2014). Constitutionalism in Global Constitutionalization. Cambridge University Press. Ohmae, K. (1996). The End of the Nation State: The Rise of Regional Economics. Free Press. Olcott, H. S. (1912). The Life of Buddha and Its Lessons. India: The Osophilic Publishing House. Orakhelashvili, A. (2008). Peremptory Norms as an Aspect of Constitutionalization in International Legal System. In The Dynamics of Constitutionalism in the Age of Globalization, (153-180). The Hague Academic Press. Osaka, E. (2009). Revaluating the Role of the Tort Liability System in Japan . Arizona Journal of International and Comparative Law, 26, 393-426. Osborne, P. H. (2007). The Law of Torts. Irwin Law Inc.
Osterhammel, J. & Petersson, N. P. (2009). Globalization A Short History. (D. Gyer, Trans.) Princeton University Press. Owada, H. (2011). Asia and International Law. Asian Journal of International Law , 3-11. PWC. (2014). Corporate Income Tax: A Global Analysis. PWC. Padgen, A. (2003). Human Rights, Natural Rights and Europe's Imperial Legacy. Political Theory , 31, 171-191. Paine, T. (2009). Common Sense. Amazon Digital Services, Inc.
Palmer, A. R. (2009). Corporations. Aspen Publishers. Parker, L. C. (2013). Crime and Justice in Japan and China: A Comparative View. Carolina Academic Press. Parm, H. K. (1998). Japan v. Kim Sun-Ki. American Journal of International Law, 92, 301-305. Paton, G. W. (1964). A Textbook of Jurisprudence (3rd ed.). ELBS & Oxford University Press. Paulus, A. L. (2009). The International Legal System as a Constitution. In J. L. Dunoff, & J. P. Trachtman (Eds. ), Ruling the World? Constitutionalism, International Law, and Global Governance, (69-112). Cambridge University Press. Pech, L. (2010). A Union Founded on the Rule of Law: Meaning and Reality of the Rule of Law as a Constitutional Principle of EU Law. European Constitutional Law Review, 6, 359-396. Peters, A. (2012). Are We Movign towards Constitutionalization of the World Community? . In A. Cassese (Ed. ), Realizing Utopia the Future of International Law, (118-135). Oxford University Press. Petersmann, E. U. (2005). Introduction and Summary of the Book. In E. U. Petersmann (Ed. ), Reforming the World Trading System: Legitimacy, Efficiency, and Democratic Governance. Oxford University Press. Pierola, F. (2014). The Challenges of Safeguards in the WTO. Cambridge University Press. Pierre, A. J. (1991). MacArther's Japanese Constitution: A Linguistic and Cultural Study of Its Making . Foreign Affairs . Poole, H. (1999). Human Rights: The Essential Reference. ORYX Press. Pound, R. (1930). An Introduction to the Philosophy of Law (4th Printing ed.). Yale University Press. Pound, R. (1953). Preface. In Eugene G. Gerhart, American Liberty & Natural Law. The Beacon Press. Pound, R. (1996). Social Control Through Law. Transactional Publications. Pound, R. (2002). The Ideal Element in Law. The Liberty Fund. Pound, R. (2012). An Introduction to the Philosophy of Law. Forgotten Books, Kindle. Pound, R. (2012). Introduction to the Study of Law. Ulan Press. Preeg, E. H. (1995). Traders in a Brave New World: The Uruguay Round and the Future of the International Trading System. The University of Chicago Press. Quigley, J. (1989). Socialist Law and the Civil Law Tradition. The American Journal of Comparative Law, 37, 781-808. Quran. (2004). (M. A. Haleem, Trans.) Oxford University Press. Rangarajan, L. N. (1992). Introduction. In Kautilya's Arthashastra (L. N. Rangarajan, Trans.). New Delhi: Penguin Books. Rawls, J. (1980). Kantian Constructivism in Moral Theory. Journal of Philosophy, 77, 515-572. Rawls, J. (1985). Justice as Fairness: Political Not Metaphysical. Philosophy & Public Affairs, 14, 223-251. Rawls, J. (1999). A Theory of Justice (Revised Edition ed.). The Balknap Press of Harvard University Press. Rawls, J. (1999). Distributive Justice. In S. Freeman (Ed. ), John Rawls Collected Papers (130-153). Harvard University Press. Rawls, J. (2001). Justice as Fairness: A Restatement. Belknap Press. Ravlusevicius, P. (2011). The Enforcement of the Primacy of the European Union Law: Legal Doctrine and Practice. Jurisprudence , 18, 1369-1388. Raz, J. (1976). Kelsen's General Theory of Norms. Philosophia, 6, 495-504. Raz, J. (1980). The Concept of a Legal System: An Introduction to the Theory of Legal System (2nd ed.). Oxford University Press. Raz, J. (1985). Authority and Justification. Philosophy and Public Affairs, 14, 3-29. Raz, J. (1986). Dworkin A New Link in the Chain. California Law Review, 74, 1103-1119. Raz, J. (2009). Betwee Authority and Interpretation. Oxford University Press. Raz, J. (2009). The Authority of Law: Essays on Law and Morality (2nd ed.). Oxford University Press. Raz, J. (2010). Human Rights Without Foundation. In S. Besson, & J. Tasioulas (Eds. ), The Philosophy of International Law, (521-337). Oxford University Press. Raz, J. (2011). From Normativity to Responsibility. Oxford University Press. Reus-Smit, C. & Snidal, D. (2010). Between Utopia and Reality: The Practical Discourses of International Relations. In C. Reus-Smit, & D. Snidal (Eds. ), The Oxford Handbook of International Relations, (3-40). Oxford University Press. Reynolds, A. (2002). The Architecture of Democracy: Constitutional Design, Conflict Management, and Democracy. Oxford University Press. Ricardo, D. (1817). On the Principles of Political Economy and Taxation . John Murray. Ringmar, E. (2012). Performing International Systems: Two East-Asian Alternatives to the Westphalian Order. International Organization, 66, 1-25. Ritzer, G. (2011). Globalization the Essentials. Wiley-Blackwell. Rivoli, P. (2014). Travels of a T-Shirt in the Global Economy (2nd ed.). Wiley. Robinson, A. A. (2008). Corporate Culture as a Basis for the Criminal Liability of Corporations, A Report Prepared by te UN Special Representative of the Secretary-General on Human Rights and Business. United Nations. Ross, A. (1957). What is Justice? Justice, Law and Politics in the Mirror of Science. California Law Review , 45, 564-567. Ross, A. (2007). Law and Justice (Reprint ed.). Law Book Exchange Ltd.
Ross, A. (1958). On Law and Justice. London: Stevens & Sons Limited. Rousseau, J. J. (2006). The Social Contract. Amazon Digital Services Inc.
Sachedina, A. (2009). Islam & the Challenge of Human Rights. Oxford University Press. Sachs, J. D. (2013). The Price of Civilization. Random House. Sacht, J. (1983). An Introduction to Islamic Law. Oxford University Press. Saduraski, W. (2008). Solange Chapter 3: Constitutional Courts in Central Europe-Democracy-EU. European Law Journal, 14, 1-35. Salmond, J. W. (1913). Jurisprudence (4th ed.). London: Stevens & Haynes. Sandel, M. J. (2010). Justice: What is the Right Thing to Do? Farrar, Stras & Giroux. Sandel, M. J. (1998). Liberalism and the Limits of Justice (2nd ed.). Cambridge University Press. Sandel, M. J. (2007). Political Liberalism. In M. J. Sandel (Ed. ), Justice: A Reader, (359-377). Oxford University Press. Sandel, M. J. (1984). The Procedural Republic and the Unencumbered Self. Political Theory, 12, 81-96. Samuelson, P. A. (1948). International Trade and the Eqqualization of Factors Prices. The Economic Journal, 58, 163-184. Samaha, J. (2013). Criminal Law (11th ed.). Wadsworth Publishing. Satoh, J. (2008). Judicial Review in Japan: An Overview of the Case Law and an Examination of Trends in the Japanese Supreme Court's Oversight. Loyola Law Review, 41, 603-627. Scalia, A. (1997). A Matter of Interpretation: Federal Courts and the Law. Princeton University Press. Scalia, A. & Garner, B. A. (2012). Reading Law: The Interpretation of Legal Texts. West. Schwobel, C. E. (2011). Global Constitutionalism in International Legal Perspective. Martinus Nijhoff. Schwobel, C. E. (2010). Organic Global Constitutionalism. Leiden Journal of International Law, 23, 529-553. Schauer, F. (1996). Positivism as Pariah. In R. P. George (Ed. ), The Autonomy of Law, ( 31-56). Clarendon Press. Scheinin, M. (1996). General Introduction. In M. Scheinin (Ed. ), International Human Rights Norms in the Nordic and Baltic Countries. Nijhoff Publishers. Schmitz, A. & Others. (1986). Domestic Farm Policy and the Gains from Trade. American Journal of Agricultural Economics, 820-827. Sen, A. (2010). The Idea of Justice. Penguin Books. Shah, A. M. (2004). Enforcing of International Human Rights Law by Domestic Court in the U.S. Annual Survey of International and Comparative Law, 10, 27-52. Shambaugh, D. & Yahuda, M. (2008). International Relations of Asia: Asia in World Politics. Rowman & Littlefield Publishers. Shaw, M. N. (2008). International Law (6th ed.). Cambridge University Press. Sherowski, E. (1996). Hot Coffee, Cold Cash: Making the Most of ADR High-Stakes Personal Injry Lawsuits. Ohio State Journal on Dispute Resolution, 11, 1-13. Siegel, J. T., Weinstein, M. M., & Halperin, M. H. (2004). Why Democracy Excel. Foreign Affairs, 83, 57-71. Simester, A. P. & Sullivan, G. R. (2003). Criminal Law Theory and Doctrine (2nd ed.). Hart Publishing. Simons, B. (2008). International Law and International Relations. In K. E. Whittington, & Others (Eds. ), Oxford Handbook of Law and Politics (187-208). Oxford University Press. Singer, P. (2012). One World: The Ethics of Globalization. Yale University Press. Singer, R. G. & Fond, J. Q. (2010). Criminal Law (5th ed.). Wolster Kluwer. Sinha, S. P. (1993). Jurisprudence: Legal Philosophy. West Publishing Co. Slaughter, A. M., Tulumello, A. S. & Wood, S. (1998). International Law and International Relations Theory: A New Generation of Interdisciplinary Scholarship. American Journal of International Law, 92, 367-397. Smith, A. (2012). The Wealth of Nations. Amazon Digital Services, Inc.
Smith, J. C. & Hogan, B. (1992). Criminal Law (7th ed.). Butterworths. Smith, R. L. (2009). Premodern Trade in World History. T & F Books. Smith, S. (1996). Positivism and Beyond. In International Theory: Positivism and Beyond. Cambridge University Press. Statsky, W. P. (2011). Essentials of Torts (3rd ed.). Delmar Cengage Learning. Steenstrup, C. (2007). New Knowledge Conerning Japan's Legal System before 1868. In D. H. Foote (Ed. ), Law in Japan: A Turning Point. The University of Washington Press. Steil, B. (2013). The Battle of Bretton Woods. Princeton University Press. Steinerte, E., & Wallace, R. (2008). International Law: Nutcases. Sweet & Maxwell. Stephens, B. (2002). Translating A Comparative and International Law Analysis of Domestic Remedies for International Human Rights Violation. Yae Journal of International Law, 1-57. Stiglitz, J. (1999). Trade and the Developing World: A New Agenda. Current History, 98, 387-393. Stiglitz, J. (2002). Globalization and Its Discontents. Penguine Books. Stiglitz, J. (2006). Making Globalization Work. W. W. Norton & Company. Stiglitz, J. E. (2013). The Price of Inequality. W. W. Norton & Company. Somek, A. (2014). The Cosmopolitan Constitution. Oxford University Press. Stiglitz, J. & Charlton, A. (2007). Fair Trade for All: How Trade can Promote Development. Oxford University Press. Stueck, W. (2010). The United Nations, The Security Council, and the Korean War. In V. Lowe, & Others (Eds. ), The United Nations Security Council and War: The Evolution of Thought and Practice since 1945. Oxford University Press. Sun, P. (2014). Confucian Philosophy and Its Historical Contribution to Human Rights. Springer. Terrill, R. J. (2012). World Criminal Justice Systems: A Comparative Study (8th ed.). Anderson. The Governor General. (n.d.). New Zealand's Constitution. The Supreme Court of Japan. (2012). Outline of Criminal Justice in Japan. http://www.courts.go.jp/english/proceedings/criminal_justice_index . Tierghien, Y. (2007). Entrepreneurial States: Reforming Corporate Governance in France, Japan, and South Korea. Cornell Studies. Toepel, F. (2013). Human Rights as Legal Rights. In A. J. Menuge (Ed. ), Legitimizing Human Rights: Secular and Religious Perspectives (79-102). Asghate.Tuck, R. (1982). Natural Rights Theories: Their Origin and Development. Cambridge University Press. Tsagourias, N. (2007). Transnational Constitutionalism: International and European Perspectives. Cambridge University Press. Tsu, S. (1994). The Art of War. (R. D. Sawyer, Trans.) Basic Books. Tuladhar, I. (2014). Constitution Making Process in Nepal: Citizenship Discourse Impact on Women and Children. WP/2015/001. UNICEF Nepal. Turner, S. P. (2010). Explaining the Normative. Polity. Twining, W. (2009). General Jurisprudence: Understanding Law From a Global Prespective. Cambridge University Press. Twining, W. (2001). Globalization and Legal Theory. Northwestern University Press. Tyler, P. (2012). The History of Globalization. Kendall Hunt Publication. UN. (2004). Report of the Secretary-General on the Rule of Law and Transitional Justice in Conflict and Post-Conflict Societies. United Nations. UN. (2011). The Millennium Development Goals Report. UN. UN. (2015). Global Issues. UN. www.un.org/en/globalissues. UNCTAD. (2012). The Least-Developed Countries Report. UNCTAD. UNDP. (1990). Human Development Report. UNDP. UNDP. (1999). Human Development Report. UNDP. UNDP. (2010). Human Development Report. UNDP. UNICEF. (2008). Assessing Compliance of National legislation with International Human Rights Norms and Standards. UNICEF. Yates, L. A. (2012). The U.S. Military Intervention in Panama: Origins, Planning, and Crisis Management, June 1987-December 1989. Amazon Digital Services, Inc.
YU, P. K-H. (2010). International Governance and International Regimes. 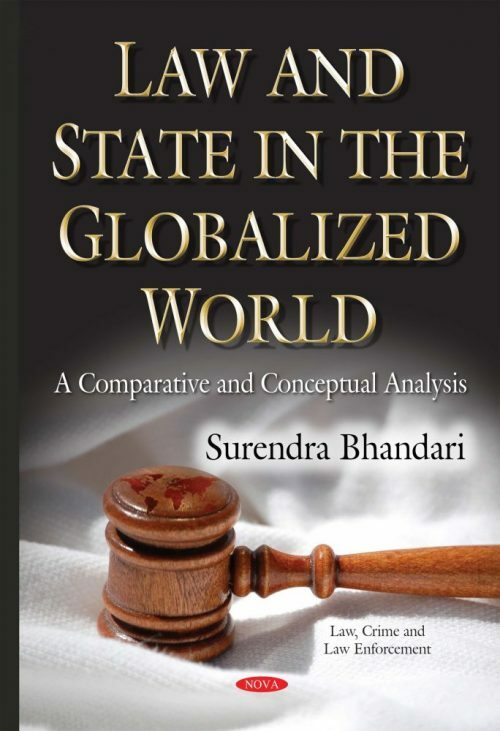 In International Governance, Regimes, and Globalization. Lexington Books. Vaughan, D. & Gray, M. (2000). Judicial Review in English Courts: An Ideal Forum for Community Law. In D. O'Keeffe, & A. Bavasso (Eds. ), Judicial Review in European Union Law, (407-416). Vernon, R. (1966). International Investment and International Trade in the Product Cycle. Quarterly Journal of Economics, LXXX, 190-207. Vernon, R. (1979). The Product Cycle Hypothesis in a New International Environment. Oxford Bulletin of Economics & Statistics, 41, 255-267. Vierdag, E. W. (1978). The Legal Nature of the Rights Granted by the International Covenant on Economic, Social, and Cultural Rights. Netherlands Journal of International Law, 9, 103. Vincent, R. J. (1986). Human Rights and International Relations. Cambridge University Press. Waldron, J. (2004). The Rule of Law as a Theater of Debate. In J. Burley (Ed. ), Dworkin and His Critics (319-336). Blackwell Publishing. Wallace, L., Woodall, P. & Nadar, R. (2004). Whose Trade Organization? A Comprehensive Guide to the World Trade Organization. New Press. Waluchow, W. (2004). Constitutionalism. In The Stanford Encyclopedia of Philosophy. Stanford University. Waluchow, W. (2007). Constitutionalism. http:// www.seop.leeds.ac.uk/ entries/ constitutionalism. Watson, A. (2013). Diplomacy: The Dilogue Between States. Routledge. Weber, M. (1968). Economy and Society (Vol. II). (G. Roth, & C. Wittich, Eds.) New York: Bedminister Press. Weber, H. (1999). Who Guards the Constitution? Center for British Studies Workign Paper Series. Center for British Studies. Weber, M. (2009). The Theory of Sociology and Economic Organization. (A. M. Henderson, & T. Parson, Eds.) Free Press. Wedgwood, R. (2007). The Nature of Normativity. Clarendon Press. Weiner, A., Lang, A. F., Tuley, J., Maduro, M. P. & Kumm, M. (2012). Global Constitutionalism: Human Rights, Democracy, and the Rule of Law. Global Constitutionalism, 1-5. Weinreb, L. L. (1992). Natural Law and Rights. In R. P. George (Ed. ), Natural Law Theory: Contemporary Essays. Clarendon Press. Weisberg, K. (1993). Feminist Legal Theory: Foundations. Temple University Press. Wells, J. L. (1968). A Product Life Cycle for International Trade. Journal of Marketing, 32, 1-6. Wilhelm Rohl. (2005). Generalities. In History of Law in Japan since 1868. Brill. Williams, G. (2000). Learning the Law (11th, 7th Indian Reprint ed.). Sweet & Maxwell, Universal Law Publishing Co. Pvt. Ltc. Whitby, S. (1942). Justice. Ethics , 52, 395-433. Whitman, J. (2003). Global Dynamics and the Limits of Global Governance. Global Society , 17, 253-272. World Bank. (1997). World Development Report. World Bank. World Bank. (2013). World Development Report. World Bank. World Bank. (2013). Doing Business. World Bank. World Bank. World Bank. (2015). Doing Business. World Bank. World Bank. WTO. (2006). Negotiating Group on Rules: Communication from Japan, Proposal on the Prohibition on Zeroing. WTO. WTO. (2007). WTO Negotiating Group on Rules: Statment on Zeroing in the Antidumping Negotiation by Brail, India, Japan, and Ohter Members. WTO. WTO. (2014). World Trade Report. WTO. Zakaria, F. (1997). The Rise of Illiberal Democracies. Foreign Affairs, 76, 22-42. Zedillo, E. (2007). Introduction. In B. M. Hoeakman, & M. Olarreaga (Eds. ), Global Trade and Poor Nations: The Poverty Impact and Policy Implications of Liberalization. Brookings Institute of Press. Zolo, D. (1998). Hans Kelsen International Peace through International Law. European Journal of International Law, 9, 306-324. Zolo, D. (1998). Hans Kelsen: International Peace through International Law. European Journal of International Law, 9, 306-324. Audience: Students, lawyers, paralegals, NGOs, academia, researchers, judges, and general readers, among others.